The fun of Glacier National Park extends far beyond its mapped boundaries, with adventures to entice eager travelers everywhere you turn. The options can seem never ending, making it hard to choose when you’re visiting the area. 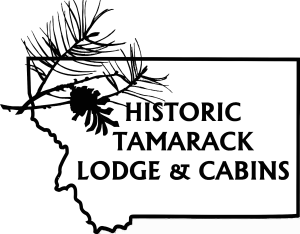 But here at the Historic Tamarack Lodge, we work closely with companies we trust to help bring you the best experiences you can find. Whether you’re looking for a rollicking ride over class IV rapids along the southern boundary of Glacier National Park or a serene scenic float ideal for spotting wildlife, we’ve got you covered. Now, in a few clicks, you can book your lodging, activities, and meals for every day of your trip, all in the same place. Through our website, you’ll find the best outfitters in our area, with activities to entertain every member of the family. Click here to tap into the best kind of listing: one for adventure. Guided fishing trips from Glacier Raft Co. When you book activities through us, you get good prices, convenience, and peace of mind, knowing you are putting your trip in the capable hands of the best outfitters and adventure-lovers around. Click here to book your room, or use your last name and confirmation code to log back in and get access to all the greatest activities our little corner of Montana has to offer!